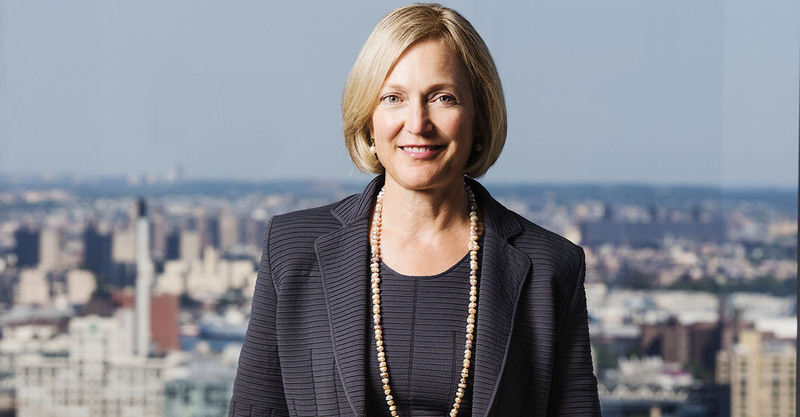 Karen Patton Seymour‘s remarkable tenure at Sullivan & Cromwell has been interrupted not once, but twice, by stints at the U.S. Attorney’s Office in Manhattan. The first time, in 1990, Seymour was a young associate looking for significant trial experience, which she gathered over six-plus years. By the time of the second opportunity, in 2002, Seymour was already at an elite level in the profession and left to serve as the Office’s Chief of the Criminal Division. During the almost three-year tenure, she also took the lead trial role in prosecuting Martha Stewart and her broker, Peter Bacanovic, for false statements and obstruction of justice. Seymour has excelled in criminal work from the defense side at Sullivan & Cromwell; she is often called upon for massive investigations with an international flavor. In 2015, Seymour negotiated settlements for Barclays, which faced allegations tied to price manipulation in the foreign exchange market, and BNP Paribas, which admitted to violating U.S. economic sanctions. But the University of Texas School of Law graduate, who is also a Texas native, values the diverse mix of a practice that includes a wide range of litigation work. Lawdragon: What led you to New York? Karen Patton Seymour: After law school, I was pretty much convinced that I wanted to go to a bigger city than those in Texas to learn from the best and brightest. When I was a second-year law student, I initially looked at San Francisco and loved it, but I didn’t think the practice there was as strong as the practice in New York. Like many people, I came here to practice for a few years and learn how to be the best lawyer I could be. I assumed I might leave at some point and even move out of New York. I didn’t really expect to spend my entire career in New York City, and I didn’t really assume I was going to be a partner at Sullivan & Cromwell when I arrived. LD: Why did you go into litigation? KPS: It’s funny. When I was in law school, at least, the Texas firms were pushing me to go into a real estate practice or, in their words, “a less contentious” practice. They saw litigators as being louder tough guys. I remember being questioned a lot about why I was possibly interested in litigation, and there were suggestions that I might be a better fit because of my personality to do something other than litigation. That just egged me on and made me completely convinced that I had to become a litigator, right or wrong. I certainly didn’t find that kind of attitude in New York or at Sullivan & Cromwell. It was refreshing to say I wanted to do litigation and nobody thought twice. LD: Why did you become a federal prosecutor? KPS: One of my first cases at Sullivan & Cromwell was participating in a nine-month bench trial up in Boston for the Kodak v. Polaroid patent infringement litigation, which was the largest patent infringement case up to that point. We were litigating on behalf of Kodak. It was a fascinating trial. I worked very closely with the partners on the case to help prepare for trial; it was a wonderful learning experience. But in the breaks at trial, the court would have the AUSAs, the prosecutors, come in for various hearings or conferences and the like. In contrast to the case that I was on, where everybody was 15, 20 years my senior and incredibly skilled in the courtroom, the AUSAs were my age and they were there themselves doing trials. It looked like a wonderful way to get trial experience, coupled with really fascinating cases. Also, for whatever reason, I had always had an interest in criminal issues. I had worked at a juvenile facility as an intern in high school. Doing something on the criminal law side had great appeal. LD: You were there for a while, about seven years. Did you ever think of becoming a career prosecutor? KPS: The U.S. Attorney’s Office in Manhattan is a relatively young office and people tend not to spend their careers there. Some do, but really very few. It’s the mold that you do that for a while and then move on. I loved that job and it was a job that I believe very strongly should be filled with people who are so excited to do it each and every day. When it starts getting routine or old or things seem, frankly, easier, you know in your heart when it’s time to move on. I never wanted to be one of those civil servants who didn’t give my all. Before I got to a point where I was waning in the job, I left. In my mind, I left a little early. I left when I still really loved that job, when it was still extremely exciting. At Sullivan & Cromwell, one of the great opportunities that we have is that you can be a generalist. I was not sure what kind of law I wanted to practice coming out of the U.S. Attorney’s Office. I was not at all convinced that I wanted to do white-collar law. I wanted a variety of litigation and I wasn’t sure, having been a prosecutor for so long, how much I would enjoy the defense side. I felt like I would have a lot of professional freedom at Sullivan & Cromwell. LD: As it turned out, you did end up doing a lot of criminal work, though with a mix of many civil cases. KPS: I had a wide variety of civil cases when I came back from being a prosecutor. But I started helping out one of our partners who had a criminal case that was going to trial. Vince DiBlasi asked me to help him on this criminal case representing an individual. At first, I somewhat resisted and so he said, “Why don’t you just come to a meeting? You’re going to really like this client.” As he predicted, I really liked the client. I got to know the client and his wife. I realized that I could make a difference in helping people through one of the most difficult situations in their lives. I felt like I could really add value. I was very passionate about helping them. It’s wonderful to be a prosecutor. It’s important work and it is extremely rewarding work professionally. But on the defense side it’s also extremely rewarding to have the privilege to represent clients that you care about. That spoke to me in a way that sometimes some civil cases didn’t, in that a civil case may not be something your client is thinking about each and every day. It’s very different to be facing jail time. I then started doing more corporate investigations on the defense side and really liked the work. LD: You left again for a very senior position at the Justice Department. How did that happen? KPS: I received a call from Jim Comey, who’s the FBI Director. At the time, he was just appointed as the U.S. Attorney for the Southern District following Mary Jo White – which of course was a tough act to follow – and he was assembling his senior team. He called me totally out of the blue and asked if I would consider serving as his criminal division chief. To be honest, that was always a dream job. It took me no time to say yes. The only complicated part was that I was a partner at Sullivan & Cromwell and I was engaged in a lot of important matters. Jim needed a team that could become available pretty quickly. I talked to the firm first and they were, of course, understanding and supportive. Then I had to talk to each of my clients and that was difficult, but they were extremely gracious and we were able to do transitions on cases. LD: That job must be challenging. KPS: It is. First of all, you have all of the assistant U.S. attorneys, around 165 AUSAs, who are in the criminal division. Part of what you do together with the U.S. Attorney and Deputy U.S. Attorney is to set priorities, to manage the office so that you are addressing the most important threats, if you will, in your district. That is going to be a wide range of cases from corruption to organized crime to terrorism to international narcotics trafficking to all of the white-collar cases – all of which the district is very famous for – but also just the day-to-day cases that people may not think about as much. It has such a spectrum of cases and you have to ensure that the most important cases are moving along and that appropriate charging decisions are made. You want to make sure that there are structures in place and reviews so that mistakes aren’t made. Charging someone falsely is a terrible thing. AUSAs need to be well trained, to understand how to build a case and to act fairly. It takes a lot. It’s a lot of management, but it’s also getting involved in helping to oversee and direct particular cases. LD: You also tried the Martha Stewart case. KPS: Jim Comey asked me to try the Martha Stewart case, but normally I was not in the role of trying the cases as chief of the criminal division because it takes too much time. You really have to step down to try a case. I had to get someone to cover for me as the acting chief while I was on trial for that case. LD: How would you describe your style as a trial lawyer? Has it changed over the years? KPS: It probably has changed; it’s hard to know. People always say to be successful as a trial lawyer you have to be yourself, and that’s what I try to do. I try not to pretend I’m somebody else in addressing the jury or the judge. So my personality in front of the jury matches my personality out of the courtroom. My style is not to be bombastic. I like to think that I have credibility with the judge and with jurors. I’m usually very polite to my opposing counsel. I’m not one to tend to make accusations. I’m not a screamer in the courtroom, but sometimes I can be a little theatrical and that can be fun. I think I tend to have a softer approach in the courtroom than many of my adversaries, and that sometimes throws them for a loop. LD: What does it take to succeed in negotiating for clients under investigation, outside of court? KPS: Again, I’d like to believe that my reputation is someone whose word you can trust. I like to be a very straight shooter in negotiations, as in all of my lawyering. Bluffing and raising things that are not really important for the sake of getting leverage are not tactics I use; I tend to be very straightforward. Sometimes folks find it refreshing because I’ll just be quite candid with them about what the goals are and what we can and can’t do in a negotiation. I find that if folks want to try to resolve a matter, if you can drop the pretense and really talk through what are important issues on both sides and see if there’s a way to find common ground – sometimes there is, sometimes there’s not – it is better to be straightforward. It can be difficult because sometimes prosecutors or the SEC or the folks on the other side really do vilify our client. Sometimes it’s hard for them to hear our requests as being reasonable, in part because they have such a bad view of the client, right or wrong. You try to help them deal with you as a person, different from your client, just trying to see if there’s a common way and a common path to move forward. These can be very difficult negotiations. LD: Has it become harder over the past several years with all the public anger over corporate fraud? KPS: It’s a very difficult atmosphere for any white-collar defendant or client who’s faced with an investigation. It’s a very, very challenging atmosphere. The matters differ: sometimes you have a lot of negotiations where the government will address a lot of your concerns and needs, and other times you’re confronted with very difficult negotiations where there’s no flexibility on the other side. Sometimes you’re confronted with close to a take-it-or-leave-it settlement. Those can be extremely difficult. I think the climate has had a significant impact on what can be achieved in a settlement. I think having lawyers who understand what can be achieved in that climate, who understand what is negotiable and what’s likely not negotiable can be helpful in addressing the client’s concerns so you can predict in a negotiation what the areas are and where the client might want to focus. Some of the areas are not going to be very likely. You can help guide your client so that their expectations are right – if it’s a public entity and you are reporting to the board, the board is going to need to understand fully what the scope of liability is, what’s possible in negotiations for settlement. LD: In some of your recent settlements, such as the case involving Barclays and another involving BNP Paribas, guilty pleas were included in the deals. KPS: Yes, there was a period of years where there were really no guilty pleas by financial institutions. A couple of years ago, there were a couple of high-profile guilty pleas, including the BNP case, but it was one of two. Then after that, we’re seeing more and more pressure on our clients to have financial institutions actually plead guilty rather than have an agreement such as a deferred prosecution agreement. There still are some, but increasingly prosecutors are forcing entities to plead guilty and that is a change. That’s a real shift from a number of years back. LD: Is it difficult to educate clients about that? KPS: Sure, it can be very difficult for clients to accept that. But it’s not like you’re offering advice that they haven’t thought about because our clients are typically sophisticated. They read the papers and they see that increasingly the government is relying on guilty pleas rather than deferred prosecution agreements, which have been the subject of a fair amount of criticism. Increasingly, clients are expecting that to be part of the dialogue. It’s something I think most sophisticated practitioners are mindful of when an investigation begins. LD: Do those massive cases signify how your practice has evolved since returning to Sullivan? KPS: It is a mix, which makes it fun. One of the things I really enjoy about my practice is that there’s a large international component to it, which I happen to love. I think cross-cultural issues are really interesting and I like dealing with non-U.S. based clients. They have a different framework and there can be some really interesting legal issues about how to work in one country when you have an overlay of different applicable laws and systems. But I have plenty of domestic clients as well, including a fair number of individuals and smaller companies. There’s a lot of variety. Each case is different and each one has its own story, so to speak. The clients are interesting. Many of the clients I’ve come to know over a number of years and have very close working relationships with them, but there are also new matters with new industries, with new issues. There’s constantly something new that you can learn about whether it is getting to know a new organization or an industry or a really tricky financial product, so it’s a fun job because there’s always something new to learn factually and legally. There’s no shortage of work out there to keep you excited about what you do. LD: Your husband, Sam Seymour, is also a partner at the firm. Has that made the difficult work-life balance of lawyers easier by being in the same place? KPS: A lot of things are easier that way because when you have firm events and parties and stuff that like, we only attend one rather than two if we were at separate places. As any two-career family knows, there’s a lot of juggling. Hopefully, we didn’t short-change our children – they seem to be doing pretty well. It’s also been nice to commute with Sam and grab the occasional lunch together. LD: Can you discuss the public interest areas you devote time to? KPS: I have a diverse mix of things I do on the public interest side, including being active with the Nature Conservancy. I enjoy working on issues that affect our environment and thinking about ways – as we become much more dependent on cities – we can help make our cities more sustainable and prepared to handle natural disasters. That’s a whole set of issues that I work on that’s been really interesting outside of the law. I’ve also been active in the Vera Institute of Justice, which has a lot of interesting projects focused on criminal justice reform. It has been eye-opening to see their efforts to improve the justice system.